Home > Blog > 7 SMART TIPS FOR RENTING A HOME! 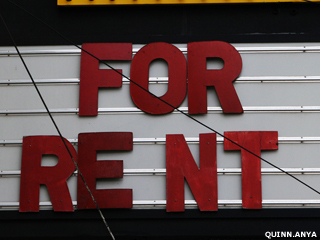 7 SMART TIPS FOR RENTING A HOME! In the long run, owning a home is better than renting. But renting is a good option for people who expect to move in a few years, anyone jittery over today’s depressed housing market, or those who for one reason or another cannot make the home-ownership hurdle. But if you haven’t done it before, renting a house or apartment will present some unfamiliar issues. In some ways, the ongoing relationship with the landlord makes renting more like getting and keeping a job than simply paying for a product or service. In some parts of the country, too many homes and condos were built during the housing bubble a few years ago, and landlords have reduced rents and are offering incentives like the first month’s rent free. In other areas, financial setbacks have increased the supply of renters, but not the supply of rental housing, and rents have gone up. Choosing a good place is, of course, the first step, and it’s different from buying because a renter typically commits for only a year or two. If you like, you can shoulder a big rent to get closer to work, or you can take a cheap place to save money, or choose a neighborhood that might not be suitable after you start a family in a few years. When you want something different, you move. Before starting your search, bone up on local and state laws on tenants’ rights. The federal Department of Housing and Urban Development has plenty of helpful information on its site. Also check your credit history for errors. A history of late payments and low FICO score can scare off a landlord. Despite anti-discrimination laws, landlords can legally reject applicants for many reasons, so you need to sell yourself as you would in applying for a job. Obviously, that means looking like a person who will take good care of the place, pay the rent on time and not bother the neighbors. But the landlord also likes to feel the tenant will be good natured and cooperative when problems arise – that you won’t phone at 2 a.m. over a squeaky hinge, or make it difficult for a maintenance worker to get inside. Whether you rent from an individual or a company, the signed lease governs the relationship, so be wary of relying on oral promises that stray from terms of the contract. Make sure the lease is clear about each party’s obligations. Are you responsible for mowing the lawn or taking the garbage to the curb? How many people can occupy the home? What does the lease say about resolving disputes? Is there a mediation process? In many cases, the renter is required to pay the first and last month’s rent plus a security deposit, often equal to a month’s rent. The lease should state that you are not to be charged for normal wear and tear, and ideally, it will provide some details as to what this entails. If you hang pictures, for example, you shouldn’t have to pay to spackle the holes and touch up the paint, but make sure the lease says so. Don’t count on getting the whole deposit back. Some landlords do everything they can to hold on to this money, knowing many tenants won’t bother with a legal fight. Also don’t assume you can use your security deposit to pay the rent as you get ready to move out. That would leave the landlord with no fund to pay for repairs, and most leases prohibit this. Finally, look carefully at any lease provisions allowing you or the landlord to end the deal early. Typically, the tenant has the right to stay until the lease expires even if the property is sold. Many leases allow the tenant to leave early, with notice of a month or two, for a new job or transfer a minimum distance from the property, such as 50 miles. Some leases permit subletting, most don’t. If you break the lease, the landlord will keep your security deposit and may well sue you for the remaining months’ rent. This could also mar your credit history and hurt your credit score. But the landlord may agree to terminate the lease early if it doesn’t cause a financial loss. You could offer, for example, to pay through the end of November but get out a couple of weeks earlier, giving the landlord time to spruce the place up so a new tenant can move in Dec. 1. We are here to help with any insurance needs! !